In last week’s blog about Cebu, we talked about the controversy surrounding the closure of Boracay in 2018 for rehabilitation. Therefore, I thought it would be worth looking at some alternatives around the nearby Visayas region to blog about. Even though Boracay has reopened, there are some restrictions now. This includes the capping of 19,000 visitors on any given day and a no booking no entry policy. So this still means that there will be demand for alternative places to visit, especially with summer on our doorstep. Last week we looked at the best 8 places to visit in Cebu in 2019. There are some very good alternatives in Cebu if you are looking for something different. Another emerging hotspot that offers great alternatives to Boracay is the amazingly diverse island of Bohol. Located just beneath Cebu, I first went to Bohol back in 2007 and of the many places I have been to in the Philippine,s it is still one of my favourites. So let’s take a look now at the best 9 places to visit in Bohol in 2019. 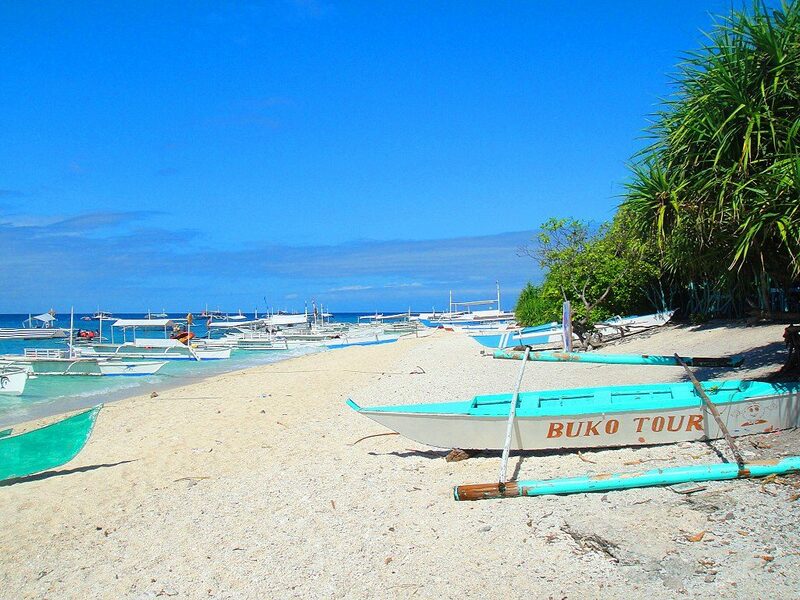 Located on Panglao Island, Alona beach is one of the most beautiful beaches in the Philippines. The beach has beautiful white sand that can easily rival Boracay, some of the bluest water you will ever see, and a dense forest of palm trees lining the beach. This really is a tropical delight. There are also some of the most amazing sunsets you will ever see with Alona beach facing west. If you are going to visit Bohol, Panglao Island is the best place to say. There are a growing number of resorts that will put you very close to if not on, Alona Beach. This is rapidly becoming one of the best places in the Philippines. Chocolate Hills are located in Carmen and are probably one of the most recognizable landmarks of the Philippines. 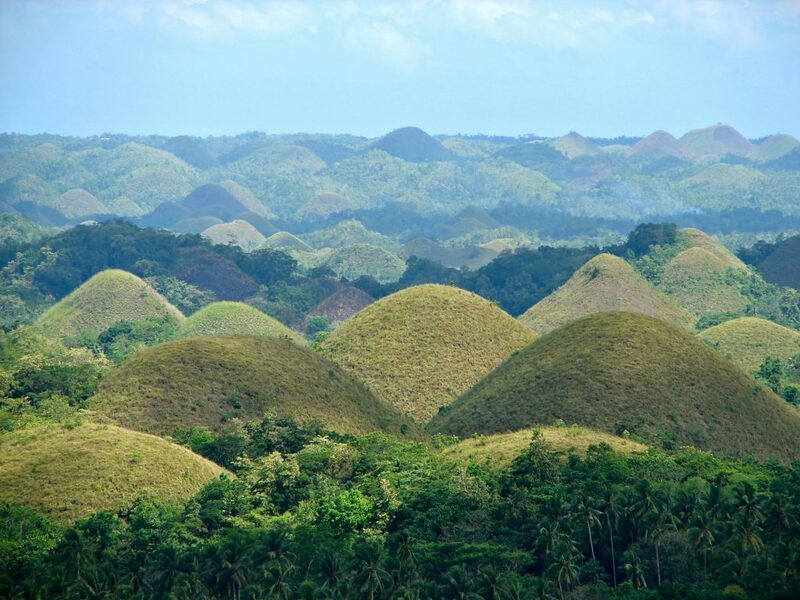 Chocolate Hills are a bunch of mounds that number 1268 in total and vary in height from 30 to 50 metres. There is still a lot of scientific debate about how these fascinating mounds occurred, but like One Hundred Islands in Pangasinan were once corals submerged in the sea. Over time, the sea has disappeared, leaving these inland mounds. These mounds are called Chocolate Hills because, during the dry season, the foliage and grass on these mounds turn brown, hence the name “chocolate” hills. The Philippine Tarsier is one of the smallest primates in the world and is indigenous to Bohol. The head and body range of a tarsier is around 10-15 cms and their tails can be as long as 25 cms. 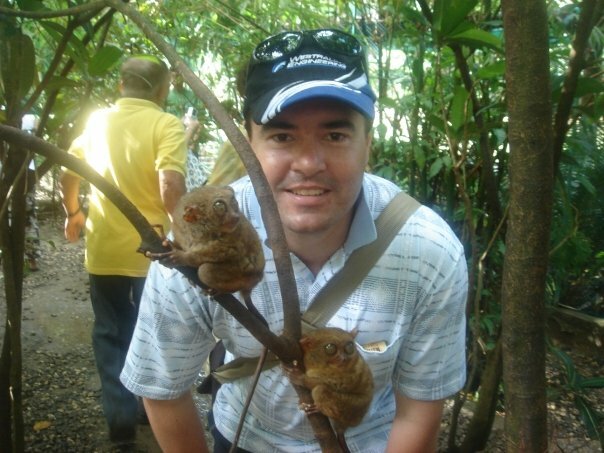 Bohol is considered the only place in the Philippines in which you can find tarsiers. In order to preserve the tarsier and their habitat, a sanctuary has been developed. This allows you to get up close and personal with these fascinating little creatures. If you have children this is one of the best Philippines destinations to visit. 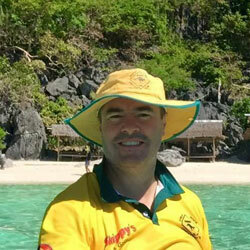 Balicasag island is a marine sanctuary and offers some amazing scuba diving and snorkelling experiences. The beautiful island offers some of the best coral and marine life not only in Bohol but arguably the whole of the country. Aside from the beautiful white sand beaches and the amazing corals, you are also able to watch dolphins and whales in the area. You can also check out nearby Pamilacan island which also enables you to watch dolphins and whales and experience more beautiful white sand beaches. 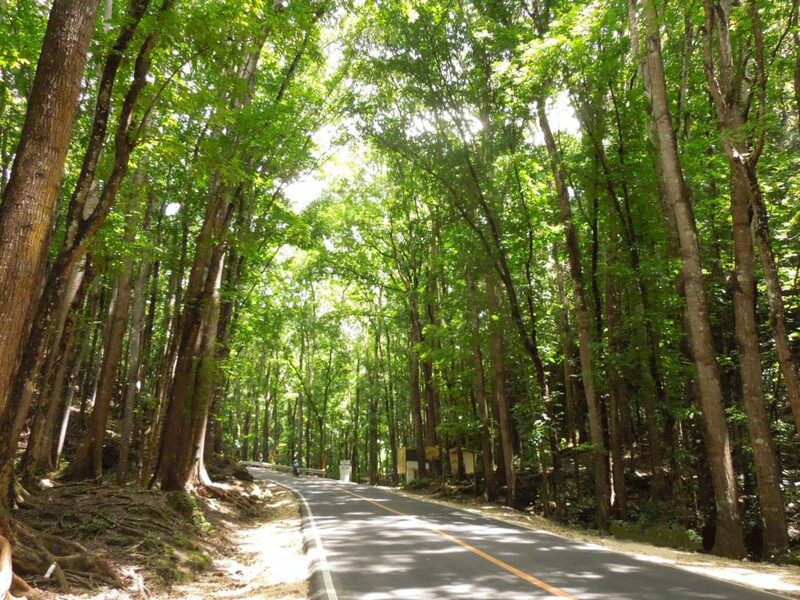 The Bilar man-made forest is a beautiful scenic route that stretches for approximately two kilometres in the municipality of Loboc. The forest consists mostly of mahogany trees that have beautiful coloured trunks that range from a deep dark red to a marble white. The trees are almost dead straight and line both sides of the road and lean towards the middle of the road, virtually creating an arch above you. There are also walking trails and viewing decks for your enjoyment. If you are heading to Chocolate Hills from Panglao Island, you will pass through this amazing spectacle. 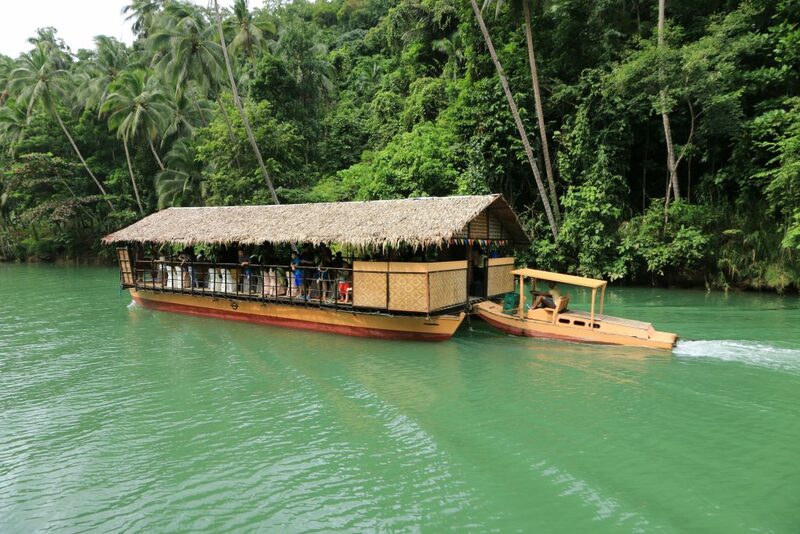 The Loboc River cruise makes for a very relaxing experience. Here you get to ride on a boat that is a floating restaurant. You get to enjoy a buffet meal while peacefully cruising along the Loboc River while checking out some of the local delights. There is also a stopover along the way in which you get to watch some local natives performing some dance routines and other entertaining acts. The cruise starts at Loay Bridge and you cruise along the river for about an hour, before turning around and coming back. This really is a great way to check out some of Bohol. 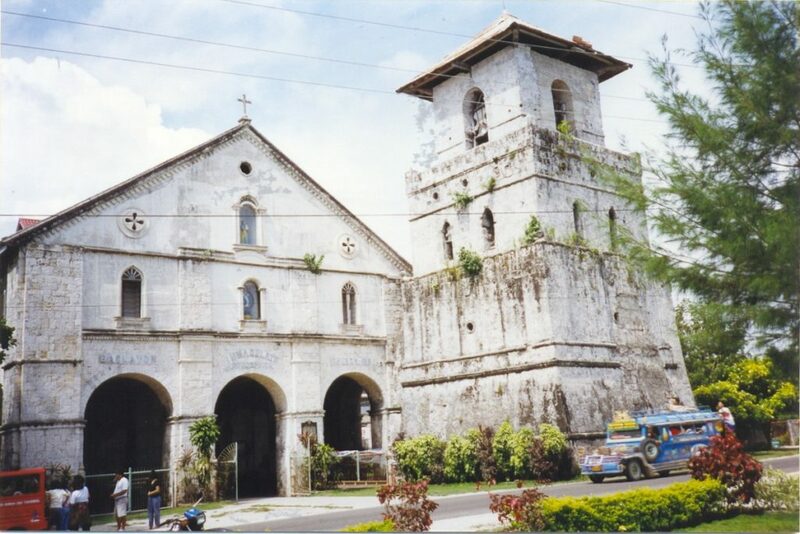 Baclayon church was founded by a Jesuit priest back in 1596 making it not only one of the oldest churches in Bohol but also in the Philippines. In its present stone form, the church was completed in 1717. It has been declared a National Cultural Treasure by the National Museum of the Philippines and is tentatively included on the UNESCO world heritage list. The church is actually built from coral stones. The inside is decorated with murals and sculptures that really are amazing works of art. Unfortunately, due to an earthquake in 2013, much of the church was damaged and is currently going through some restoration. 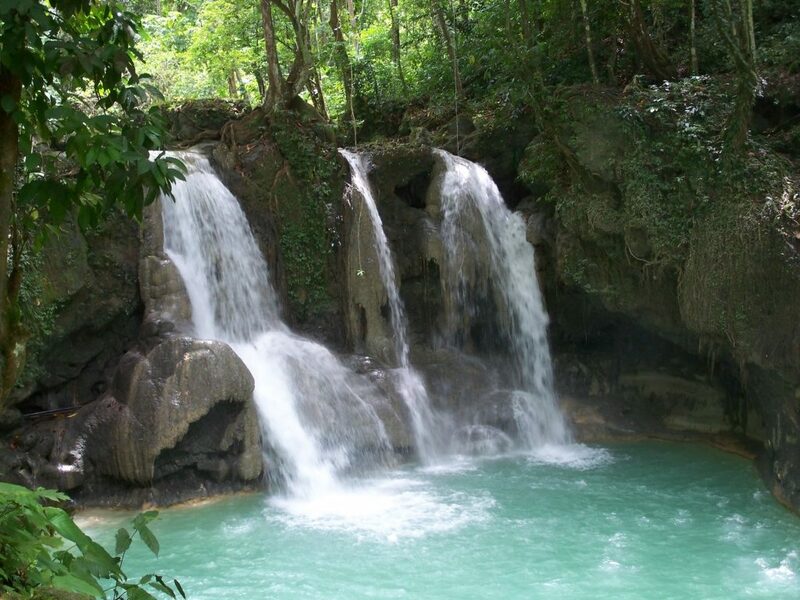 Mag Aso Falls is located in the town of Antequera and is one of the main attractions in Bohol. The waterfalls are a cascading twin style of waterfall and are just under 10 meters tall. Unlike some other waterfalls in the country, Mag Aso Falls is fairly easy to get to. There are 197 steps that take you to the top of the clearing where you can enjoy the views of this beauty. By the time you get to the top, you will no doubt be feeling fairly hot so you can cool off by taking a swim in the rock pools of the falls. If you enjoy your history then the blood compact monument is definitely worth a visit. 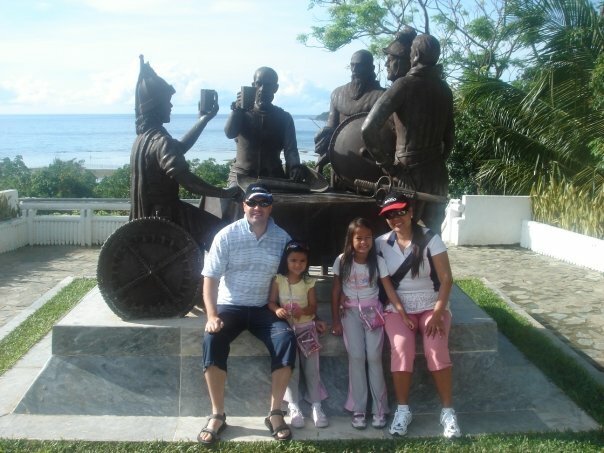 known locally as Sandugo (one blood), it is basically just a monument that symbolizes a blood pact that was made in 1565 between Spanish explorer Miguel Lopez de Legazpi and Datu Sikatuna who was the chieftain of Bohol at the time. The monument itself is nothing special to look at, but it is a fascinating history that dates back nearly 500 years. So there you have it, another great nearby alternative to Boracay. Stay tuned for next week’s blog to see what I have in store as another alternative. Please check out the related articles below and don’t forget to like and share this article and please feel free to leave comments below.